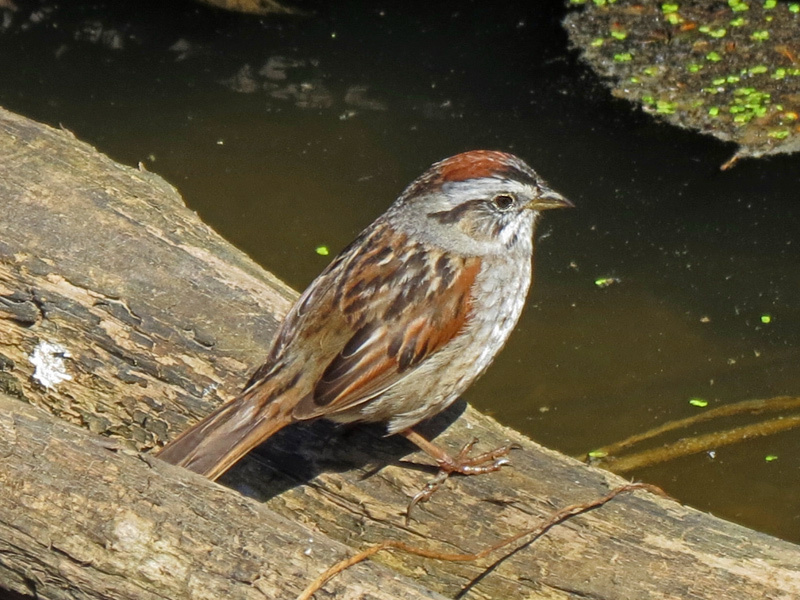 The Swamp Sparrow is a dark rusty sparrow with a dull gray breast, an outlined white throat, and a rusty-reddish cap. It has a range east of the Rockies from Canada to the Gulf Coast. It has a habitat in marshes with tussocks, bushes, or cattails, and sedgy swamps. The diet is mostly insects and seeds. It is usually a solitary sulker in dense cover. 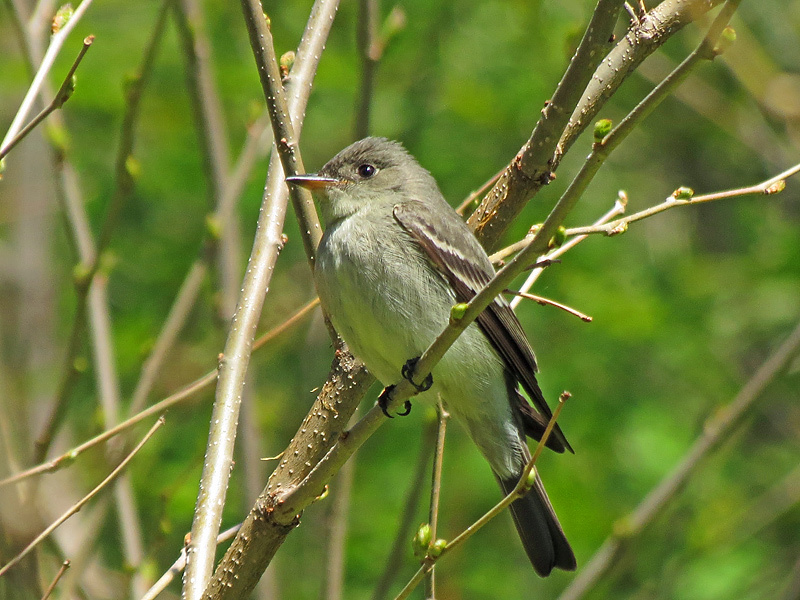 The Eastern-Wood Pewee is a sparrow sized brown-gray color, with two white wing bars, and no eye-ring. It has a dusky gray breast and a partially yellow lower beak. The wings extend further down the tail than other flycatchers. Its range is from south Canada and eastern half of the United States. It has a habitat in woodlands and groves.